Earn $18.49 in Podium Club credit (1849 points)What's This? Only the best to keep you at your best. 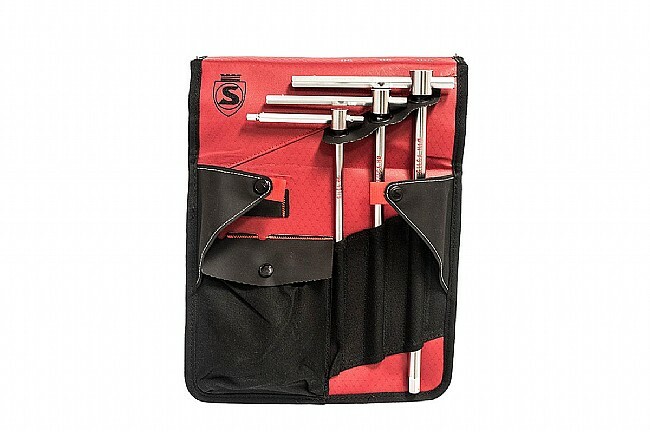 Designed based on feedback from pro mechanics, pro cyclists, and amateurs alike, the Silca T-Handle Tool Kit and Folio. Sure, your toolkit might get the job done, but Silca's designed to maximize performance with its clever design. 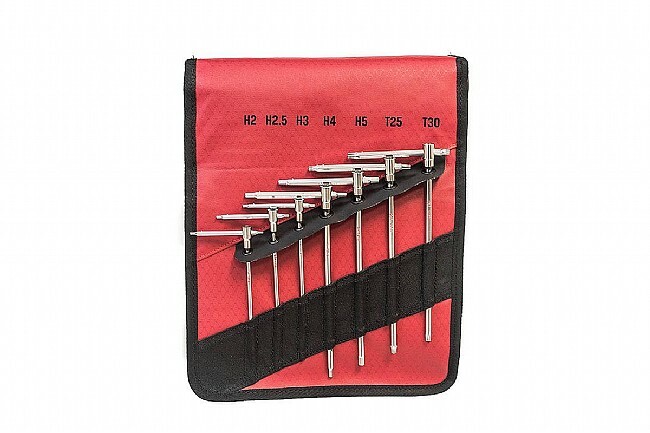 Housing 10 of Silca's fully-forged Steel metric Hex and Torx head tools in an ingeniously designed carry case, this kit delivers an incredibly high-quality toolkit at home on a working professional's tool wall or in your trunk. With a T-handle design, the sliding hex and Torx keys deliver versatile, reliable, precise manipulation to even the most hard-to-reach areas. Each individual forged steel tool features end stops and a center detent on the cross member, allowing each tool to take three positions, customizing the tool's shape to the job at hand. This über-high quality 10-piece tool kit comes in a wax duck canvas carry case that can easily be hung on a work stand, over your top-tube, or mounted on a tool wall. Fully forged one-piece (not welded) steel Handles and sliding Crossmembers. 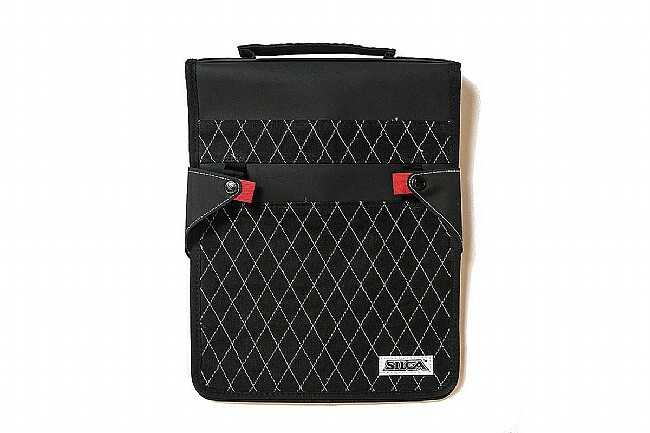 Waxed Duck Canvas carrying bag adds intuitive storage, organization, and transport. 2, 2.5, 3, 4, 5, 6, 8, 10mm. 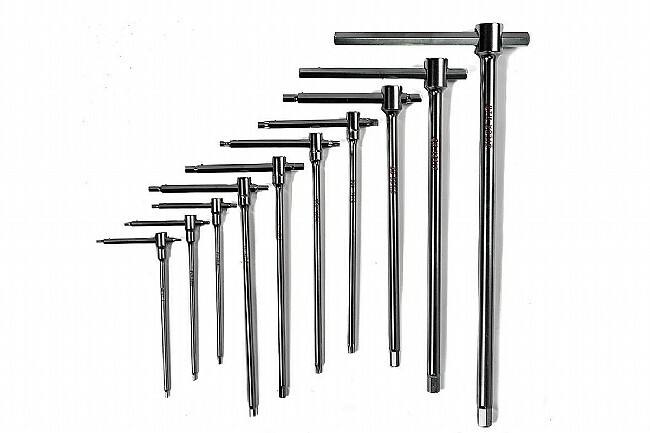 BEST Allen Hex key T-Handle Set PERIOD. This set is the Lamborghini of Allen key sets. Not the most expensive, but Absolutely the top level best quality set money can buy. If you worked on your bike motorcycle for even only one hour, then you know for sure the most used tools in any repair shop are by far the 3, 4, 5 & 6mm Allen Keys. Fully forged single piece construction won't damage bolt's head. 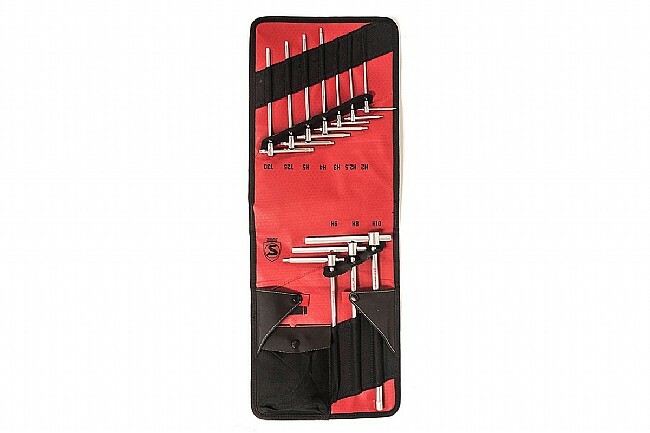 Buy this set & you are DONE on the HexAllen T-Handle Keys Department. These have very quickly become my go to for work on my bikes. Pro level tools. The only reason I rated them with only four stars is their cost (worth it, but expensive) and the carrying case, if your not careful with it you will end up having to pick up your wrenches. I think Silca should redesign the case, but the tools are great and worth the cost.